Lettermore is a country home adjacent to Avondale Forest Park and home of Ballykissangle. Glendalough and Wicklow Town. Ideal place for playing golf or walking. You can visit Dublin by train from Rathdrum. WiFi available. All rooms on ground floor. Lettermore Country House is highly recommended, situated two kilometres south of Rathdrum on Avoca Road R752. 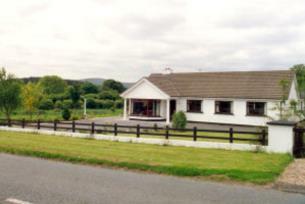 Adjacent to Avondale Forest Park, near Glendalough, Meetings of the Waters, Avoca and Wicklow Town. Lettermore is an ideal place for touring Wicklow, playing golf or walking in the Wicklow Mountains. You can visit Dublin by train from Rathdrum or by Dart from Bray. WiFi available. All rooms on ground floor. Breakfast choice. A warm welcome awaits you.